Trading cryptocurrency can prove to be a highly lucrative endeavor; however, before you can make the big bucks, you really need to learn the ins and outs of trading. Jumping right in before you fully understand how to trade can result in serious losses. In this week’s article, we will get to know the founder of Altcoin Fantasy — Tom Chan, a little bit more as well as his plans going forward. Can you explain what Altcoin Fantasy is? Can I get the app on the app store? Tom: Yes — the Android and IOS app are already available on their respective app stores. What is the motivation behind Altcoin Fantasy? Tom: I started Altcoin Fantasy because of 2 things. First is that I’m a sports fantasy fan and I’ve been playing that for a bit. Second is that I got really into cryptocurrencies in the last 12 months— so I thought, why not combine these two together? Tom: I started mining Ethereum as a hobby when it was $6 dollars. I’m a software developer and I saw what Ethereum and smart contracts could bring to the world and that excited me. I’ve been reading on it and tracking the various coins that have sprung up since. What are you plans for monetization of the app? Tom: To be honest, I built this first as an education platform. Currently brands are sponsoring the contests and all of the sponsorship money go towards rewarding players with prizes. In the future I might white label our product and bring it as a fun game to offices. I’m also considering running sweepstakes for brands — again white labeling our solution. Altcoin Fantasy will always be free to play. Has Altcoin Fantasy helped out users who play? Tom: We’ve had numerous success stories after talking to a few of our users. What I noticed early on was that there was a contestant who kept winning our contests. I was curious to see if she was a day trader or someone who have had a finance/trading background. To my surprise, she had picked up crypto trading after seeing that we hosted free contests that paid out Bitcoin to the winners. She was actually a legal assistant and had no idea until she started playing Altcoin Fantasy. That really inspired us to build out Altcoin Fantasy more. Tom: Users are from all corners of the globe. However the majority are from North America (about 55%). The rest play from Asia and Europe mostly. What is your favorite meme on the Internet for Cryptocurrencies? Tom: I have so many! But one would definitely be “When Lambo”, which refers to when a user will be rich when the coins they are holding have gone up dramatically in value and “Just HODL it”. HODL confused me at first because I thought it was some 15 year old who didn’t know how to spell. 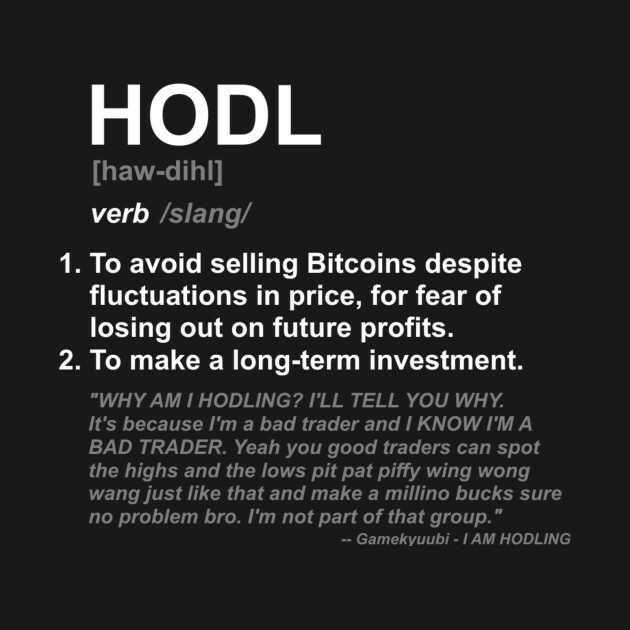 Turns out HODL actually refers to something else (Hold On to Dear Life)! HODL my friend, just HODL! What are the next steps for Altcoin Fantasy? Tom: I have so many things planned for Altcoin Fantasy. We are looking into expanding into Asia. Special interest groups have asked us to host private group contests for them, which we’ve done. Also the whitelabel solution is one I’m exploring — that will give extra revenue that goes towards contests with bigger prizes. I’m also looking to build out the educational piece more with courses on trading perhaps. What surprises have you discovered while working on Altcoin Fantasy? Tom: I’ve learned that there are over 1400 coins out there and many of them are really just scams. That’s another reason why I created Altcoin Fantasy — to empower our users to make wise financial decision without losing their house! I’m also learning that we’re just starting to scratch the surface in terms of the future. There are so many benefits and applications of the blockchain and I can’t wait to see what the future holds! Do you think you have what it takes to be a Crypto trading master? Then join us and let’s find out!